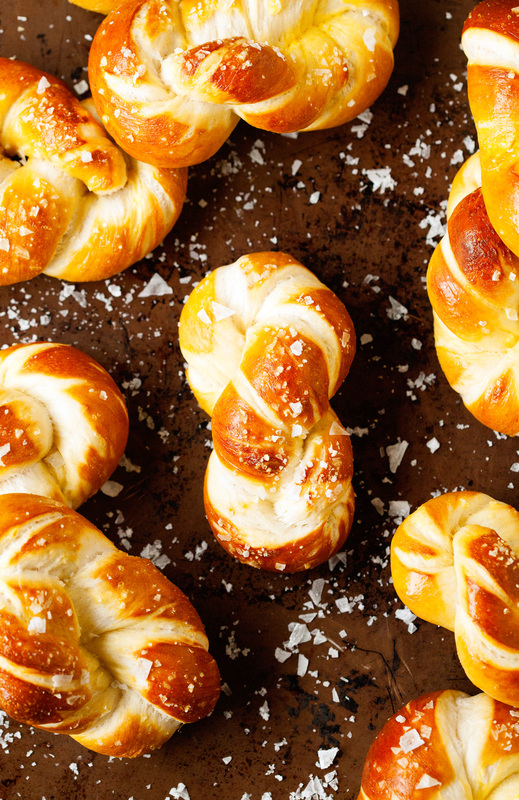 Made from scratch Pretzels shaped into irresistible Twists. A good Monday morning is spent talking about carbs in the best possible form. Don’t you agree? 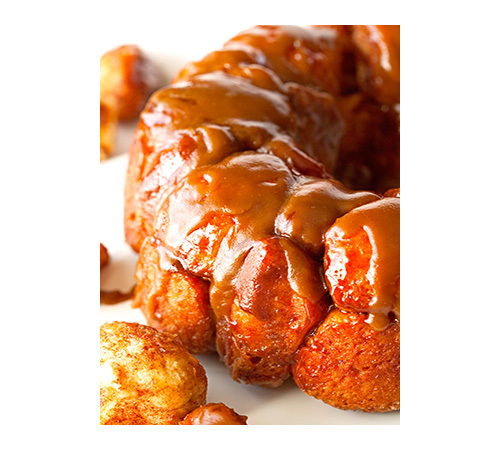 So let’s chat about Pretzel Twists. Which is easily my favorite way of enjoying anything pretzel these days. Actually, who am I kidding?! Pretzels in any way, shape or form are perfectly suitable for my palate. I have yet to meet a pretzel I didn’t like. Unless you count my baking fail from a couple of weekends ago when I was left with rock hard and beyond sad-looking pretzel twists. Those ones I seriously didn’t like. But let’s move away from fails and concentrate on my most recent success instead. After getting to bite into one of these beauties, I was so happy I didn’t give up. 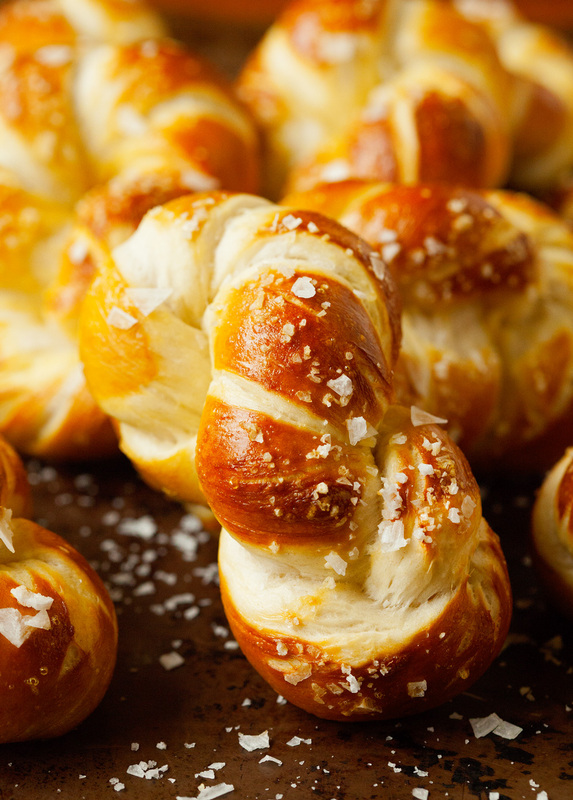 Having made regular soft pretzels as well as pretzel rolls in the past, I knew that pretzel-baking wasn’t too difficult and worth every minute. Though it only takes 2 hours from start to finish until you can hold your own in your hands. 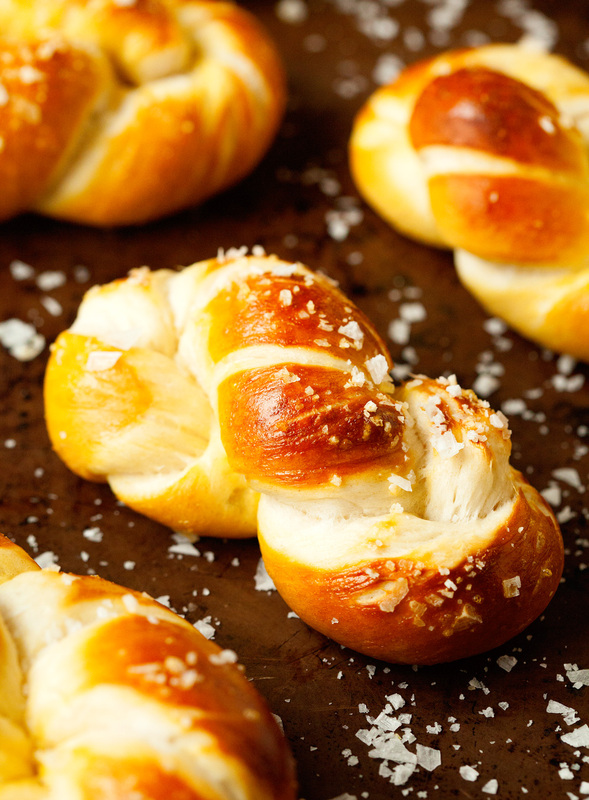 If you’re a fellow pretzel lover, then Pretzel Twists are a must! Homemade pretzels involve some work. 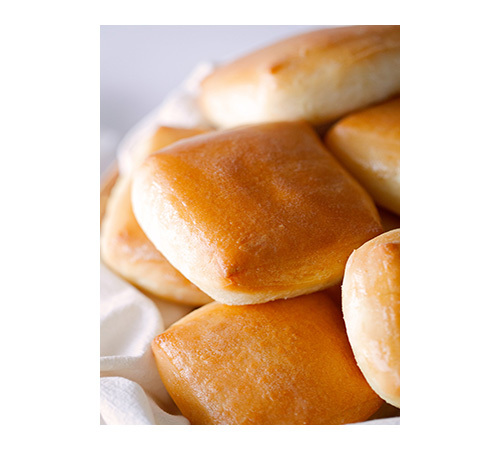 There’s preparing your own dough, letting it rise, shape it into twists, poaching them and baking the twists to golden perfection. 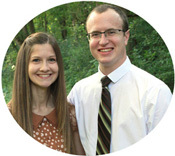 It might sound like this could be difficult or hard, but it’s easy peasy stuff. Believe me. I’ve done the hard work, aka failing, already for you. I believe it’s all in the dough and you can’t go wrong with this one. You’ll be so glad you gave it a go once you dip your twists into mustard, cheese or anything else that tickles your fancy. 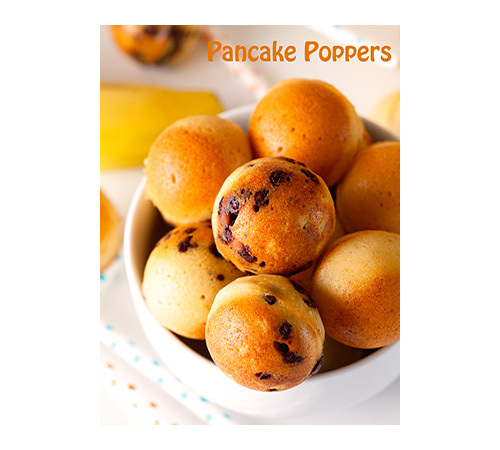 Perfect for snack time or even as a main meal. 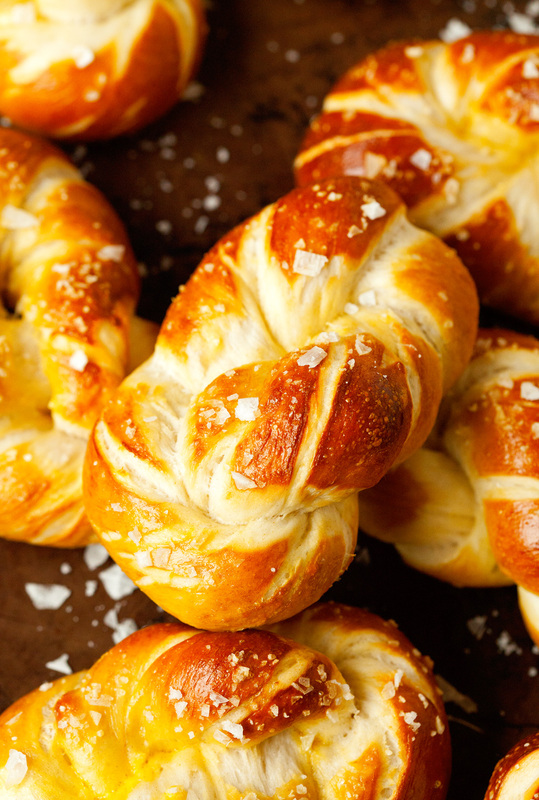 Pretzel twists for dinner? I won’t tell ;). 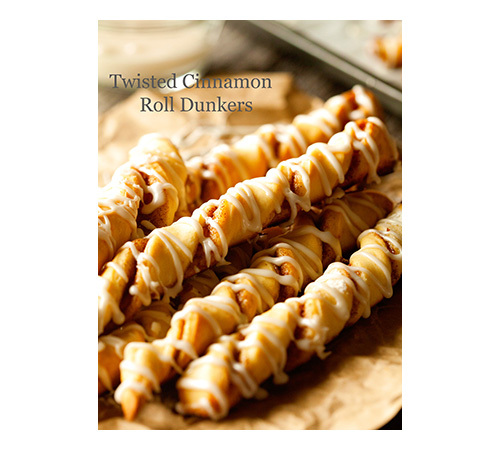 I should also mention that you can make sweet pretzel twists. Sprinkled with a good amount of cinnamon sugar instead of salt. I like dipping mine in an a yummy cream cheese frosting. Dessert pretzels. 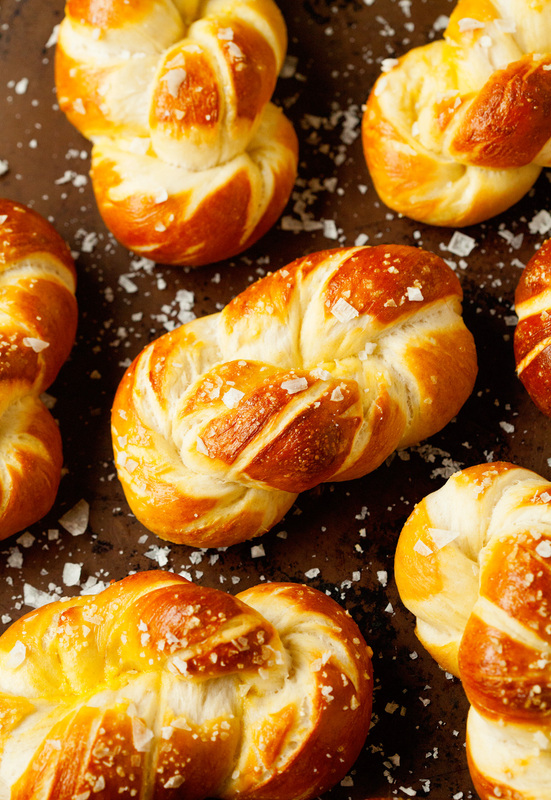 Savory pretzels. Pretzels all day long. Again, I am not going to tell, ha! 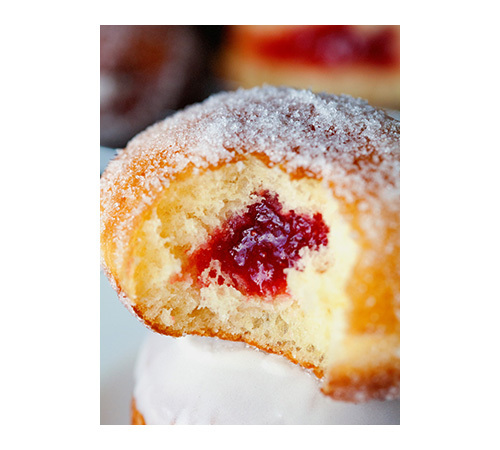 Whishing you all a delicious Monday. 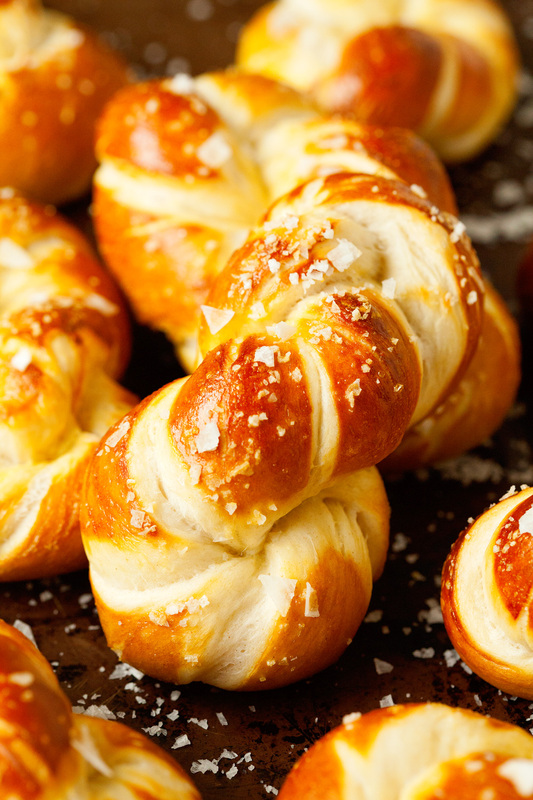 Pretzel Twists are pretty to look at and taste even better. 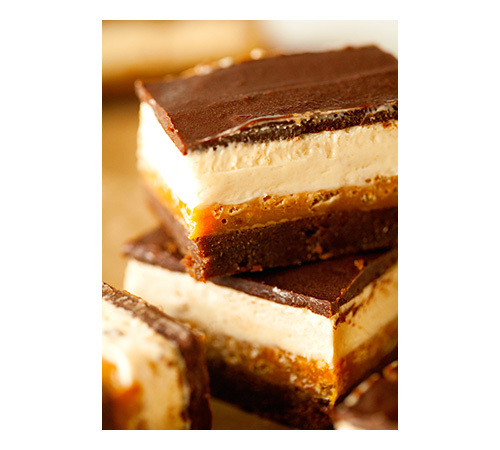 This is a no-fail recipe that you'll make time and time again. 1. Combine the 1 1/2 cups water, sugar and salt in the bowl of your stand mixer and sprinkle the yeast on top. Allow to sit for 5 minutes or until the mixture begins to bubble and foam. Add the flour and melted butter and, with the dough hook attachment, mix on low speed until well combined. Change to medium high speed and knead until the dough is smooth and pulls away from the side of the bowl, approximately 4 to 5 minutes. Remove the dough from the bowl, clean the bowl and then oil it well with vegetable oil. Return dough to the bowl, cover with plastic wrap and sit in a warm place for 1 hour or until the dough has doubled in size. 2. Preheat oven to 450 degrees F. Line 2 baking sheets with parchment paper and lightly spray with nonstick spray. Set aside. 3. Bring the 10 cups of water and the baking soda to a rolling boil in a large pot. 4. Turn the dough out onto a slightly oiled work surface and divide into 14 equal pieces. Roll out each piece of dough into a 20-inch rope. Fold each rope in half, twisting the ends in opposite directions and pressing the ends together. Feed the end (with the two strands) through the top hole and press to secure. Return twists to the baking sheets. 5. 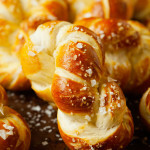 Place the pretzel twists into the boiling water, 1 by 1, for 30 seconds. Remove from the water using a large flat spatula. Return to the baking pan, brush the top of each pretzel with the beaten egg yolk and water mixture and sprinkle with the coarse salt. 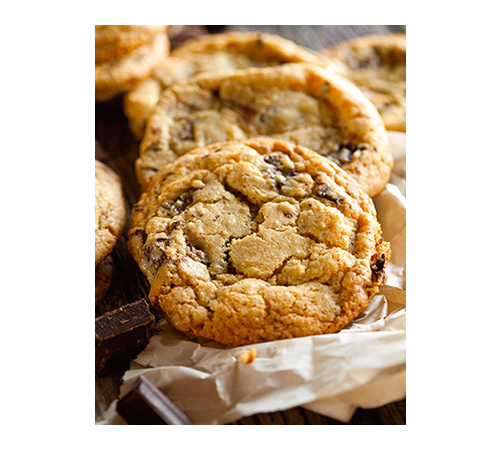 Bake until dark golden brown in color, approximately 12 to 14 minutes. Transfer to a cooling rack for at least 5 minutes before serving. These pretzels look so good! 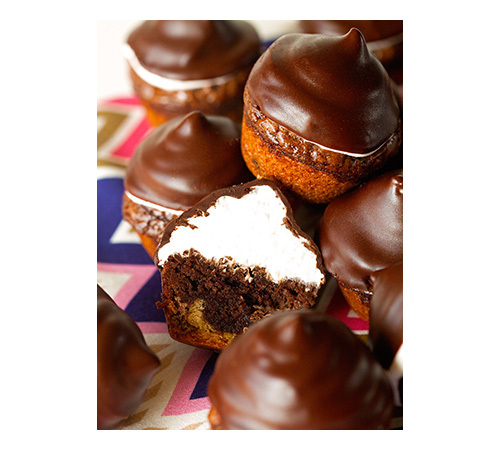 I’m adding them to my list of fun things to bake with my boys this summer. They might not turn out as pretty as yours, but I know they would have fun shaping them. Thanks Kathi!